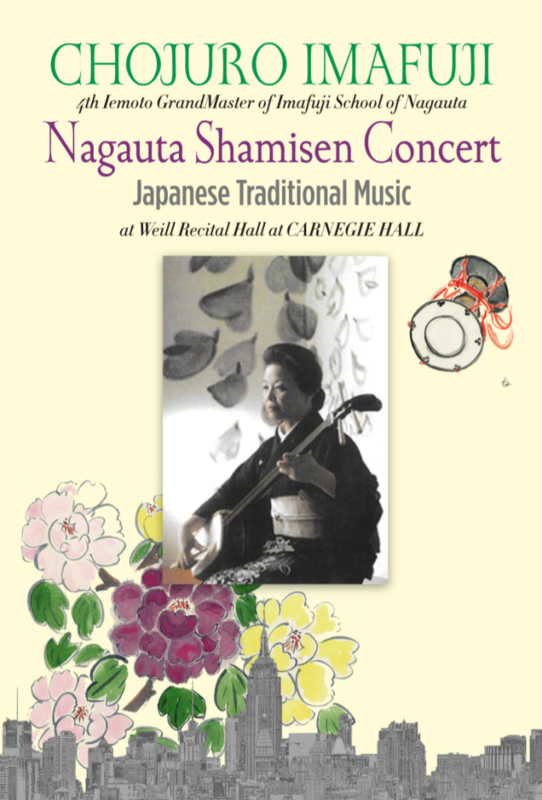 Experience Japanese traditional music at this concert by a fourth generation “Nagauta Shamisen” Grand Master, Chojuro Imafuji IV, and her co-performers on vocals, drums, and fue (Japanese flute). Nagauta is a “long song” accompanying Kabuki theater and is considered an original treasure of Japan. Chojuro Imafuji IV, the third daughter of National Living Treasure Chojuro Imafuji III, made her debut at age four. She has taught the modern charms of Nagauta and shamisen to young students and spread her knowledge of the art form throughout Japan. She brings this classic Japanese traditional music to an audience in New York at this special performance at Carnegie Hall. To purchase tickets, please visit Carnegie Hall’s website or call Carnegie Charge at 212.247.7800.